It’s impossible to ignore the fact that the coming generations will be growing up with more and more technology. It’s everywhere and impossible to hide from. But that means that you need to set boundaries and make rules for your children, to allow them to safely explore. While some parents try to ban all technology, others are giving their children free rein. Neither extreme is safe for your children. You need to do the hard work to keep your family safe and well-informed in the digital age. Keep yourself informed. You don’t want your children to outpace you in regards to technology. Though many parents find it difficult to keep up with the new trends, apps and devices, it’s important that you try. There are so many more dangers than you ever grew up with and the world is both a bigger and smaller place for your children to grow up in. 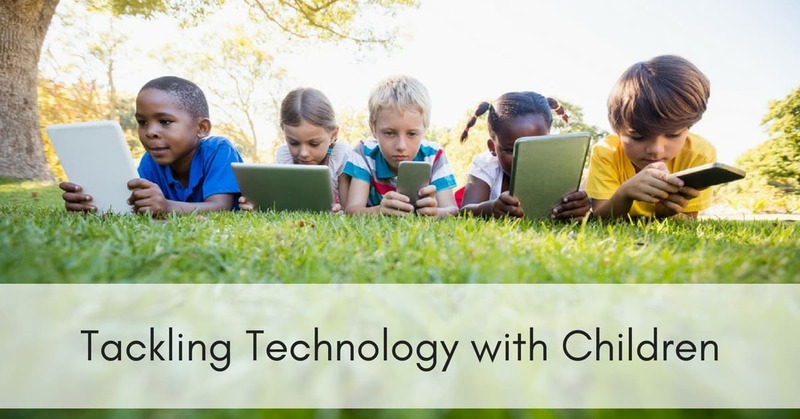 You’ll need to stay on top of the technology that your children are being exposed to so that you can set appropriate rules and have a good understanding of what they’re facing. Set boundaries for your children when it comes to what devices you want to allow. Use parental controls and privacy passwords. If you have young children, allow them access to devices for limited amounts of time and always with supervision. As they get older, and begin to have devices of their own, set parental controls which eventually can give way to an understanding between you and your children about what they can access, what’s appropriate for their age and what sort of monitoring and privacy they can expect with their devices. Keep an open discussion about technology with your family. Help them to be aware of the dangers out there because you won’t be able to watch them constantly and you can’t know every scenario they might find themselves up against. Foster openness between your children and yourself so that they’ll feel comfortable coming to you with anything they see or find on the internet that they might be concerned or confused about. Privacy is even more important in the digital age, so teach your children to respect their own and others’ privacy. Not everything needs to be shared online. Technology is a touchy subject for a lot of families. Children often have a better grasp of it than their parents, something that you should work to rectify. You want to know what your children are seeing, what apps are popular, and what their peers are doing on the internet so that you can better understand their world and the boundaries that you’ll need to put in place. Remember that you’re parent and it’s your responsibility to look after your child’s safety, especially on the internet.